An early morning tour bus crash in West Virginia has injured members of Gregg Allman's sound crew. The bus veered off Interstate 77 at about 5 in the morning Wednesday (4/6) near the Jackson and Kanawha county lines. The three injured crew members were treated and released from an area hospital. The driver of the bus reportedly told police that he was choking when he lost control of the bus, which crossed into the wrong lanes of the highway before breaking through a guardrail and sliding down an embankment and hitting a tree. 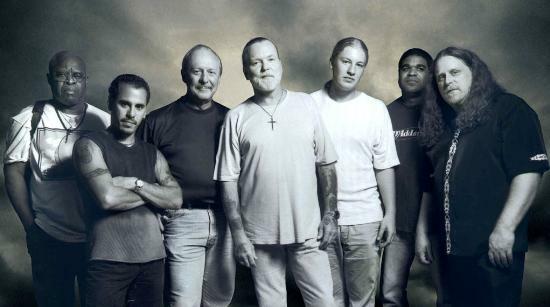 Allman was not injured in the accident and the evening show in Charleston will take place as scheduled.